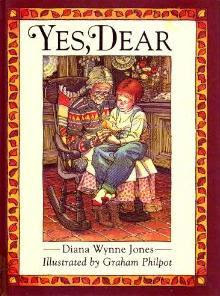 First was Yes, Dear, Diana Wynne Jones' only picture book. It was released in 1992 and the illustrations by Graham Philpot are SOOOO early 1990s. The clothes and hair are laughable and really could have been done better to make this a more timeless book. Also, the grandma absolutely should have looked like Diana, right? 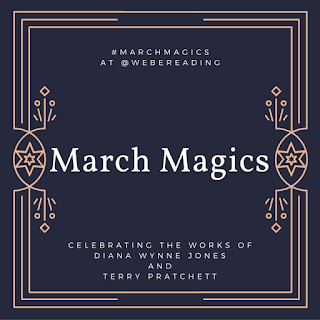 I liked the message of this story (that there will always be someone who will believe in the magic with you) but it needs some updating or it's going to be weeded from every library. 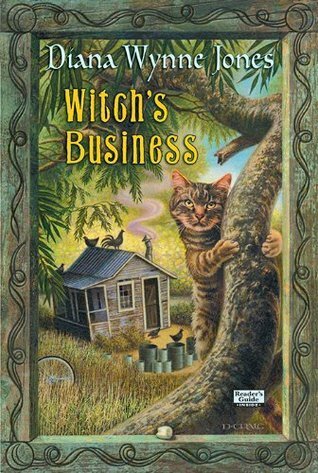 Next was a reread of Witch's Business. (a.k.a. Wilkins' Tooth). I first read this in 2010 for Jenny's DWJ Week. This is a fun story and one for a younger audience. It has funny swears ("eyeballs-in-salsa", "slimeballing", "degutted") and a really frightening witch. But it also has kids who are realistic as their alliances change and in how they band together. This is definitely one that holds to Jenny's Law (better on reread). Guards! Guards! was the next Discworld book I chose to read (my 14th! ), moving over to the Guards storyline after already reading partway through the Rincewind, Witches, and Death series. I liked this book more and more as it went on. Captain Vimes definitely grew on me as did Carrot. I liked the different kinds of dragons and, yes, I even liked Lord Vetinari. Ankh-Morpork isn't my favorite setting but I don't think it's anyone's favorite place to live either so it's actually just fine! What have you been reading? 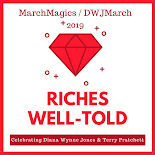 Are you in the middle of any DWJ or Pratchett books right now? 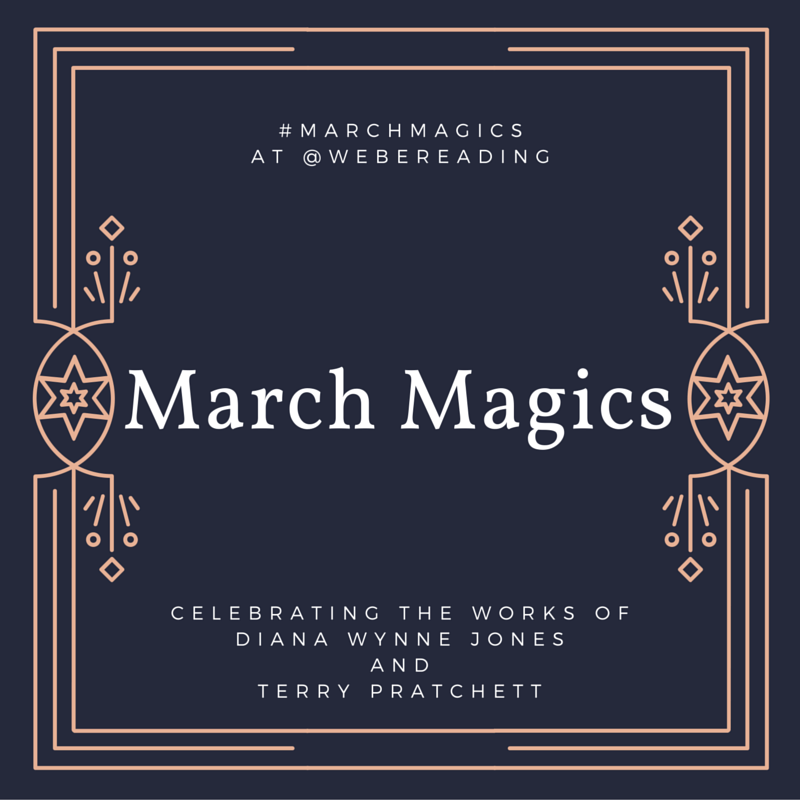 I would love to do a full Witches series reread now. Hopefully I'll get to them in the next couple of months! Now that's I'm done with Equal Rites I'm going to read Wyrd Sisters. And I had a very DWJ weekend--I read Crown of Dalemark and Fire and Hemlock. Wow that F&H is a brilliant book. I'm pretty sure I'm going to fit F&H in for a reread before the end of the month. It really is fantastic! I haven't been doing very well with novels so far this month so I haven't read anything by either. :( I read MORT in February, though! Ahh, MORT is so good. 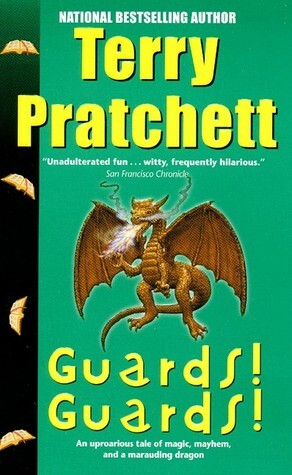 I want to reread it but I'm trying to get further along through Discworld before I go back and reread very much.